Still not quite clear what works where. 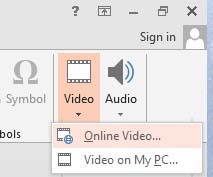 In theory you can use the insert video from Yotube/online, depending on which version of Office you have, and what updates have been installed. OK if you know, on your own PCfor example but if you're relying on an employer to make network updates, or you're visting somewhere, there's no knowing. So, If at all possible, and copyright allows, download the video as a WMV using a free program such as Freemake Video Converter. If not and you're feeling a bit technical try the Shockwave Flash method below. After that I've put instructions for the insert from website, just in case. It may be that you cannot see the developer tab. If not, you need to enable it. 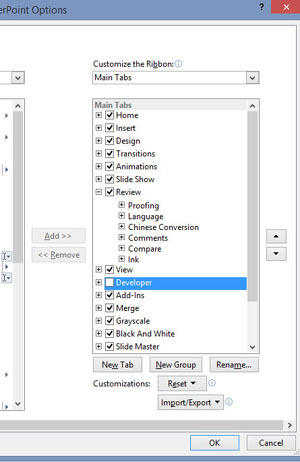 In the right hand column of the window that appears, tick the option Developer, and click ok. The developer tab will now be available. 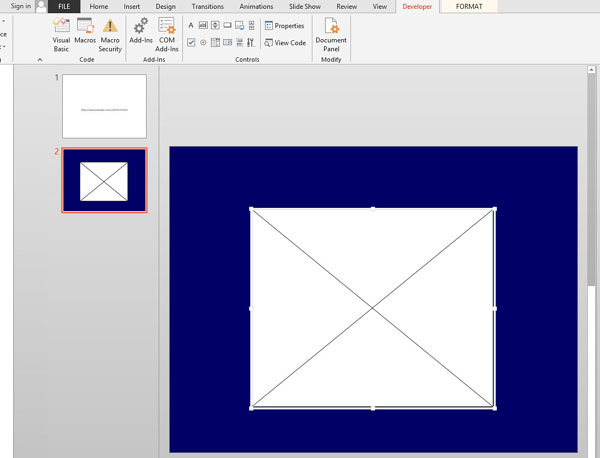 In PowerPoint, select the slide where the movie is to go. 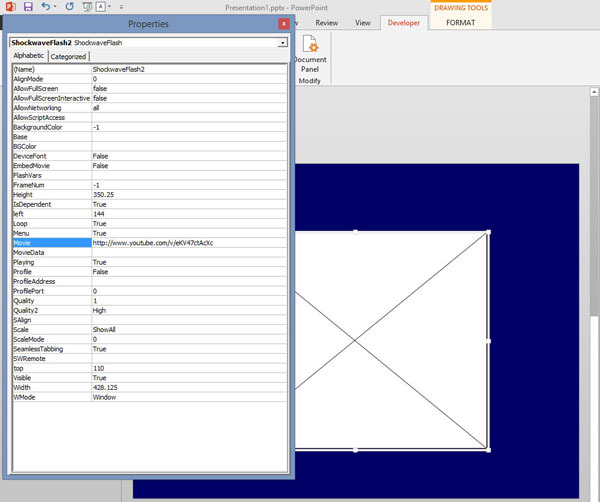 Now click on the Developer tab, then on the More Controls. 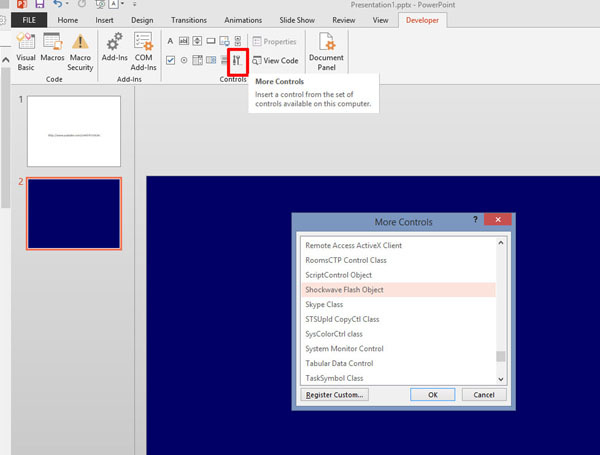 Copy the revised URL, and paste it into the box next to Movie, then close the Properties window. 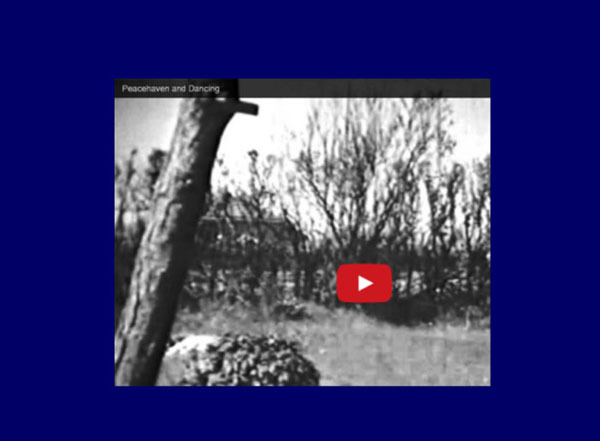 Nothing appears to have changed within the slide, but when you go full screen to present, the Youtube video will appear, and play when clicked. This all becomes quite easy after a few attempts! 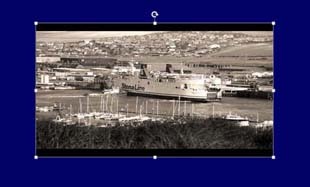 Type in your search, " Newhaven Dieppe Ferries"and click on teh magnifier icon, or click enter. 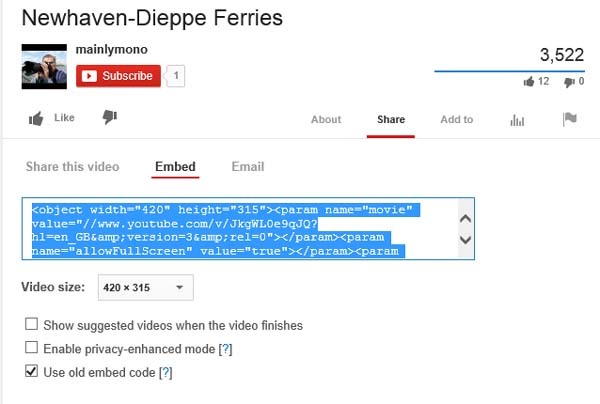 This brings up the thumbnails. 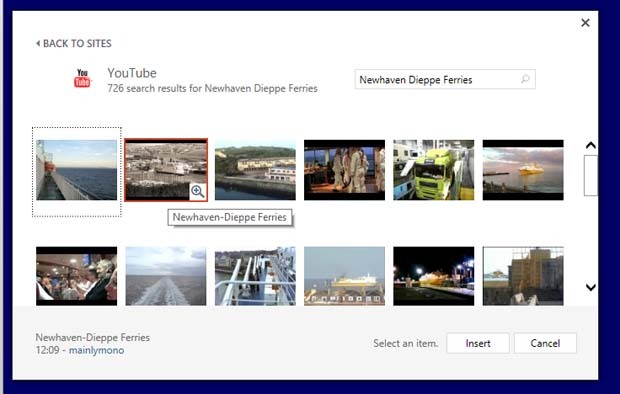 Select an item and click insert, and after a momentary pause, the video appears in your slide.